Education Giveaways | Diary of a Public School Teacher! Okay, imagine this. Your students are completing biographies on famous people. You could go the traditional route and have them write a report. 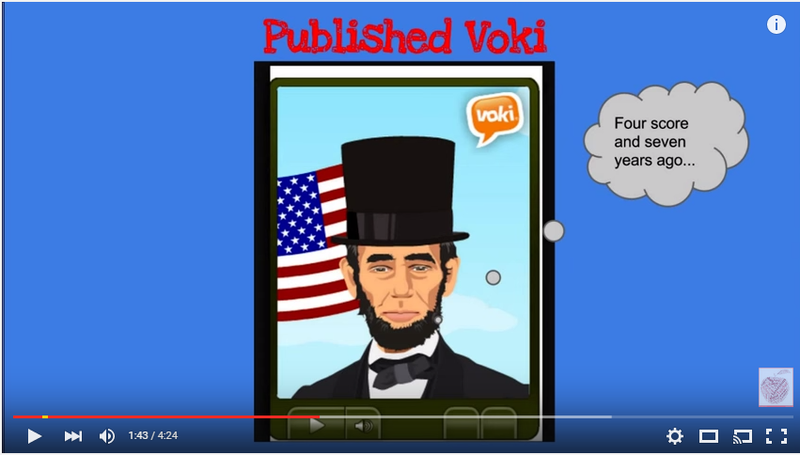 OR, you could use Voki. How much more interesting to hear the report from an avatar that represents a biographical figure, a character in a book, even the student themselves! “Music to My Ears!” AND a FREE GIVEAWAY! Feeling P*%$ed about Being “Dissed” ! I don’t get angry easily. Considering my profession, I think I am pretty patient. I don’t scream or yell. As a matter of fact, I rarely have to raise my voice. But there’s one thing that boils my blood, it is a disrespectful child. I don’t mean a child who slips once in a while, we all have our moments. I mean that day in, and day out, downright, disrespectful child! I grew up in an era where children were children, and adults were adults. I addressed my parents, “Yes Mom or Dad” or “No Mom or Dad”. There was no in-between. I didn’t question them, nor did I question the adults in my life, teacher, aunts, neighbors, etc… I did as I was told, no ifs, ands, or buts! No one was worried about my self-esteem, and whether or not they would scar me for life. And you know what, I grew up to be a well-rounded person. But those days are gone. Total acquiesce can be dangerous. When kids don’t ask questions, or blindly do what they’re asked, they can become victims of abuse. That is not what I am referring to, I do not want, or require, robots who jump at my every order. I am referring to these kids who have no concept of the line between adult and child. Yes, there are teachers who call the students their “friends.” My students are not my friends, my friends are grown folk. Or the teachers who want to be seen as “cool and popular”, so that they can “reach” the students. I reach my students all the time by caring for them, engaging them, and providing the education they deserve. When did we become a society where children can say what they want, when they want, wherever they want? There are parts of my upbringing I agree with, no matter how old-fashioned people think they are. A child is not going to call me by my first name, ever. If I am speaking to another adult, I do not expect a child to insert themselves into my conversation. If I ask a child to do something, that causes no physical harm, I do not feel that I have to give an explanation, every single time, as to why I want them to do it. If a child does not follow through on their responsibilities, then there are consequences, deal with it! And most of all, I don’t expect a child to say things to me like, “You are lucky I don’t tell you what I really want to tell you!”, just because they don’t agree. And I am sure there are some reading this who are saying, “She must be pretty mean and that’s why they act like that.” Or, “You have to give respect to get it.” I respect my little ones. But, you know what I act like, the adult. The person with whom the final responsibility lies. The person who sets limits and provides structure. Because no matter how much I allow my kids ownership of our class, in the end, there has to be someone in charge, someone who has to be the adult. When did the line blur, fade, or disappear? Is there someone or something to blame? Is it us, the parents, who so, so, so, don’t want to be like our parents? We allow our children to question everything, instead of some things? Do we find it easier to let them do what they want, then to set limits? Or is it television? Where the children on sitcoms speak to their parents as if they are idiots, or as if the roles are reversed? Or is it the philosophy where we let them “speak their mind” to whomever they choose? Is it the fact that we take them to see “R” rated movies , or watch TV shows I would be embarrassed to watch? Are we terrified they might not like us? My students say “Good Morning” when they walk in the door. They can’t answer “What?” when they answer me. If I am speaking they have to say , “Excuse me.” And they know they are not my peers, and I am not their friend. They do know I love them though, but apparently that’s not enough for some.